Sometimes getting stuck in traffic isn't so bad. You've got your favorite song playing, a fresh cup of coffee and a little time to yourself. So what if things are moving slowly? You aren't in a hurry to get to work anyway. 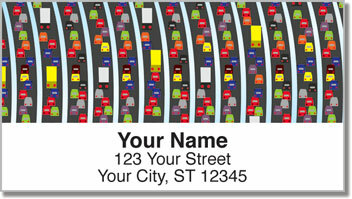 Traffic Jam Address Labels from CheckAdvantage were designed for eternal optimists who always see the best in a situation when all the rest of us can do is whine and complain. 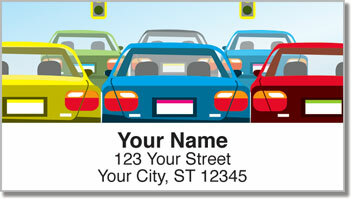 Stick these self-adhesive labels on all your outgoing mail to add a finishing touch that's both convenient and colorful. 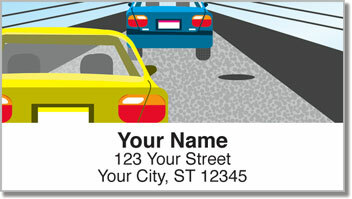 You can also use them to mark all sorts of personal property as your own. 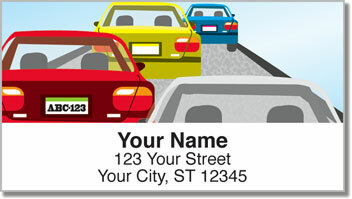 Make Traffic Jam Address Labels yours right now! We also offer this selection as a set of matching personal checks.